We are very excited to bring the SkateABLE program to your community this winter! 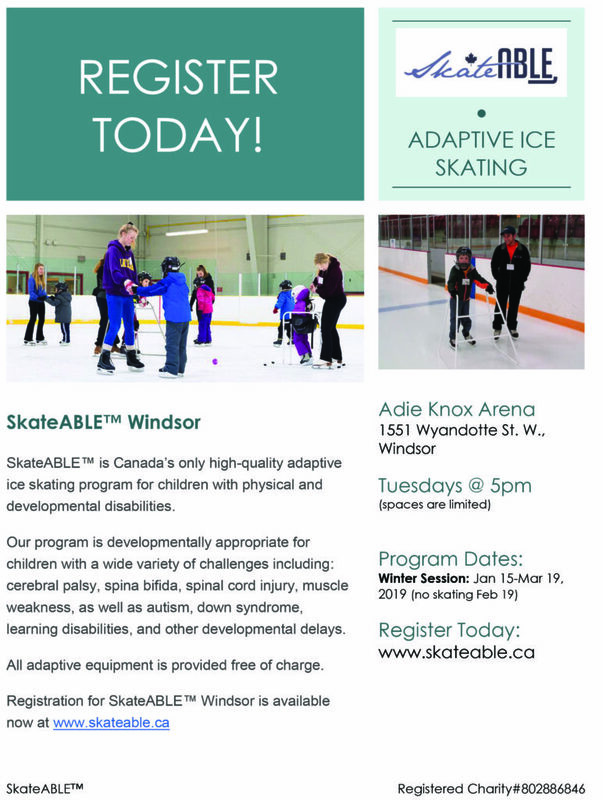 Our program is held once per week at the Adie Knox arena on Tuesdays from 5:00 to 5:50 pm. Families may register on our website at www.skateable.ca.